Feeling the heat at work? Well, you’re not alone. Some 83% of people say they have felt overwehlmed at work during sometime in their lives. If this isn’t bad enough, studies show that life at our workplace is getting more and more stressful. The same poll by Harris Interactive found that just 73% of workers cited frequent stress just last year, meaning stress levels in the workplace have risen by 10% in just 12 months. Not surprisingly, work stress can be detremental to your health and for your productivity. Rushing around like a headless chicken can actually infect other work colleges with second-hand stress. The more we rush around, the less we’re able to focus on any one specific task. Whatever happened to workplace simplicity? It’s time to cut back on your stress levels by taking a few simple steps to declutter your work life. 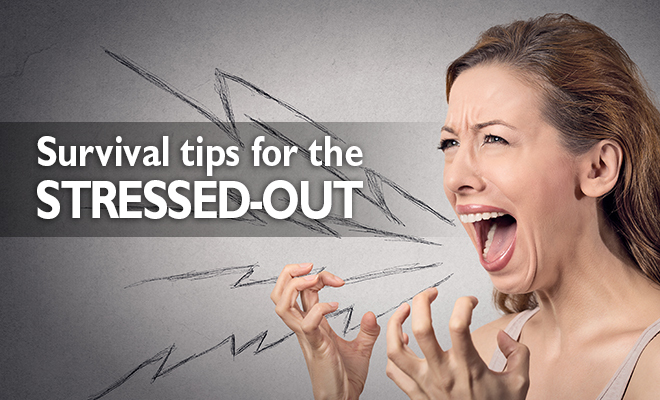 Here are 7 survival tips to combat stress and show your work related stress the door. If you feel like you hit a wall after lunch sometimes, then you’re not alone. According to research, our bodies hit a sleepiness peak at around 2 o'clock. Instead of taking a power nap, which is still frowned upon in many UK Companies, try taking a little mental break. Take some time out to check in with your friends on social media or take a walk to help clear your head. Don’t stress if your attention span is lagging, give yourself permission to let your mind wander. Too many of us have an addiction and it’s your inbox. So many people spend much of their day playing catch-up to their emails. You might be in the middle of work when you hear the siren beep of a new email arriving to your inbox, and suddenly your work is halted so you can take a look. Detox from your inbox. Choose specific times during the day to check up on your emails and stick to this schedule no matter what. For instance, you can check once in the morning, once around lunch, and a follow-up time an hour or two before clocking out. By limiting the amount of time you spend lost in your inbox, you can tune out the noise and allow yourself to focus on your work uninterupted. You might want to do everything yourself and tackle every possible challenge, but sometimes the biggest challenge is finding the strength to say no. Taking on too much responsibility is the best way to end up burnt out and feeling overwhelmed. 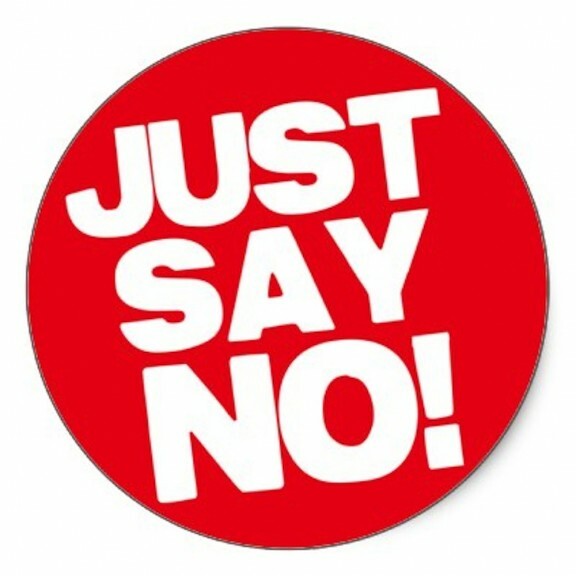 Research by the University of California in San Francisco found people who found it difficult to say no were more likely to experience high levels of stress. While there is a risk of annoying your boss, sometimes the healthiest thing you can do is bow out gracefully and avoid overextending yourself. You came here to work and yet somehow the workplace has become more political than an episode of House of Cards. Office politics damages Company morale, with 47% of workers feeling that office politicking also hurts productivity. A study by Robert Half International found that 60% of workers felt like they had to play the game. Avoid getting caught up in stressful office politics. Let your work speak for itself and steer clear of negative situations where gossip flows and negative comments flourish. It’s hard to feel stressed when you’re looking at a picture of a cute baby animal. This is certainly what researchers at Hiroshima University discovered when they discovered that pleasant images such as cute kittens actually made workers more productive. Reduce your stress levels by surrounding your work space with positive images. Don’t leave your office or cubicle empty. Place plants, posters, and pictures of loved ones, cute amimals, muscle cars in stratiegic places always in view. It’s easy to feel overwhelmed when you don’t think your voice is being heard by superiors. When asked, less than one-third of the workforce believed management would change practices based on any suggestions or feedback given by employees. Everybody wants to be respected at the workplace, and the best way is to make your voice heard. Cultivate communication networks with your coworkers, your team, and your boss. If your workload is overwhelming, don’t be afraid to say something and ask for practical solutions to cut down on your stress levels. It’s easy sometimes to let the little things about your job pile up and blot out the things you genuinely love about your work. Take a few minutes each day from your schedule and jot down your workplace “silver linings.” Write down a project you’re excited about tackling, a nice thing a coworker did, or even a reminder of why you love your job. It’s easy to make a mountain out of a molehill, but don’t let the daily grind rid you of your career passion. Stress doesn’t have to weigh down your career. To become happier and more productive, you can simplify your working life.